Our Customer Service Teams in San Francisco, Philadelphia and Hong Kong are ready to assist you. Feel free to contact us about order questions, issues or anything else! Beautylish’s team of makeup artists and beauty experts are here to help. If you need assistance in anything from color matching to your perfect skin care regimen, we are here to assist. By Brands - If you are looking for a specific brand, simply click “BRANDS” and select the brand you are looking for. By Category – You can browse categories on the top navigation menu. When you click on a category, it will open a list of more specific sub-categories. When you are on a sub-category page, you can narrow your choices further by selecting one of the filters on the left-hand side of the page. Product Search – Click the magnifying glass icon on the top navigation and simply type the product or brand name you are looking for into the search bar at the top of the site and click "Search." Make sure to select “Shop” for the category. Click on the “Email Me” button to receive an email once the product is back in stock. You can also enter in your phone number to receive a SMS text message notification. Please note that placing an available item in your shopping cart does not reserve that item. Available inventory is only assigned to your order after you place your order and receive an e-mail confirmation that we've received your order. The item is out of stock on Beautylish. The item is no longer available on Beautylish. The item is a promotional product which is no longer available on Beautylish. Go to the product page and click "ADD TO BAG." Click “Check out” to proceed with your order. You can also remove or change the quantity of items. Go to Your Bag page and click the "Remove" link under the quantity column. Your shopping bag will automatically recalculate your total. Change the number in the box under the quantity column. Your shopping bag will automatically recalculate, indicating both the unit price and the total price of the quantity added. Select or enter your shipping address and preferred payment method. Shipping address Enter your shipping address. Please type all information in English. Shipping service Select your shipping service. Gift note If this is a gift for someone special, you can include a handwritten gift note! You can select the check box and leave a message in the box (English only). Payment methods You can choose to pay by credit card, PayPal or Alipay. Click "Place order." Your order has been successfully placed when you see the final order confirmation page. After you have successfully placed your order, you will receive a confirmation email with your order details. This email is your receipt and can be printed for your records. Your order number (the same number that appears on the order confirmation page). Details of the products and corresponding prices. Order summary including applicable credits and discounts. Your shipping and billing information. Unfortunately, we do not offer a gift wrapping service. However, our Fulfillment Teams in San Francisco, Philadelphia, and Dallas thoughtfully wrap and securely pack your products to ensure they arrive quickly and safely. You can also include a handwritten message with the package too! From time to time, we will offer access to special items for pre-order before launch. Your credit card will be charged immediately to secure your item. Pre-orders are not eligible for promotions or discounts. Pre-orders ship on the date and via the method indicated on your order confirmation. Should the ship date change, we will notify you via email. Go to the pre-order product page and click the "ADD TO BAG," and simply check out as normal. You will receive a pre-order confirmation email. Once you have pre-ordered your item on the website, you will receive an order confirmation email with an estimated ship date. Unfortunately we cannot modify orders once they have been placed. You need to cancel your order and place a new order. Please note that you can cancel an order while its status is pending, confirmed or processing. Once your order shows as shipped, we cannot cancel your order. If your order has shipped, please contact us at service@beautylish.com for assistance. You can cancel your order while its status is pending, confirmed or processing. Once your order shows as shipped, we cannot cancel your order. If your order has shipped, please contact us at service@beautylish.com for assistance. We have the following order status for your order. Confirmed: Your order is being printed and/or assembled. Shipped: Your order has shipped. Cancelled: Your order has been cancelled. You can find your order number by logging into your account and navigating to order history or you can also find it on your order confirmation email. Unfortunately we cannot modify orders once they have been placed. You need to cancel your order and place a new order. Please note that you can cancel an order while its status is pending, confirmed or processing. Once your order shows as shipped we cannot cancel your order. If your order has shipped, please contact us at service@beautylish.com for assistance. To cancel an order, click "Cancel Order" on the Order History page. You can cancel an order while it is pending, confirmed or processing. Once your order shows as shipped, we cannot cancel or modify your order. If your order has shipped, Please contact us at service@beautylish.com for assistance. At this time, we don’t offer coupons or promo codes. 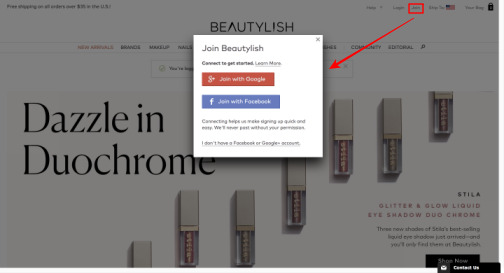 You may see third-party websites referencing “Beautylish Coupon,” “Beautylish Coupon Code,” or “Beautylish Discount Code,” but these aren’t valid. We also don’t participate in any cashback programs. For more information please see here. Beautylish doesn’t have a rewards program at this time. We believe in providing top-notch customer service, fast shipping, and free samples (when available) in your order, no matter how often you shop. For more information please see here. We do occasionally have sales and special events on Beautylish. Please sign up to learn about new product releases and special offers! Gift Card Event In November, receive a free $20 gift card for every $100 you spend. Lucky Bags In December, we offer mystery bags of beauty products worth $150+ for $75 each. Shipping Information - Shipping to the U.S.
We are currently unable to ship to P.O. boxes. Orders to APO/FPO addresses and U.S. territories ship via USPS with 10-15 day shipping or faster. For your protection, we may require a signature on orders valued at $150.00 and above. If you would like to waive the signature requirement on your orders, please contact us before placing your order. If you elect to waive a signature, we cannot refund or replace your order if it does not arrive. Please accurately provide your address and remember to spell out the destination city. Abbreviations, misspellings, and typos can result in delayed delivery. If you've realized you made an error with your shipping address after placing your order, please contact us by email (service@beautylish.com), phone (1-877-992-5474) or live chat right away so we may help adjust this before your order ships. Shipping to multiple addresses in one order is not currently supported. To ship to multiple locations, please place separate orders with the desired shipping addresses. Please note, shipping fees and taxes (if applicable) will apply to each separate order. Unfortunately, you cannot combine your orders. To combine orders, you need to cancel your order first and place a new order again. When you place an order you will get a confirmation email once the order is confirmed. Once the order has been handed over to our shipping courier, you will get a shipped email, which includes the shipping carrier, tracking number, and a link to track the order status. You can also find tracking number by logging in to your account and navigating to "Your Account" > “Order History”. Please check the delivery status on the courier’s tracking site. If the status is DELIVERED but you have not received your order, or any other problem has occurred, please contact us right away. 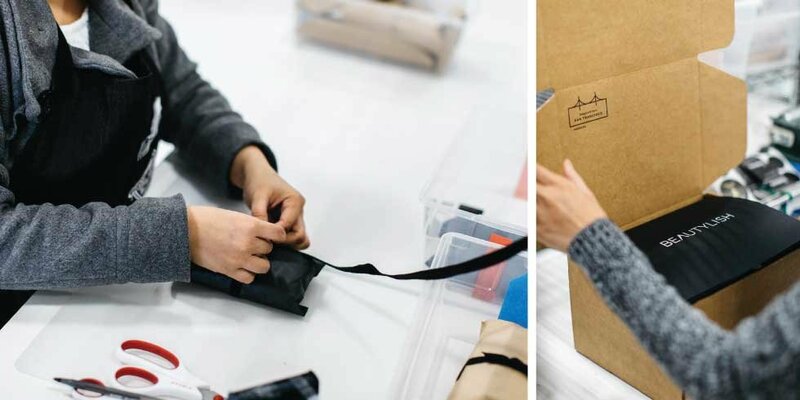 Our Fulfillment Teams in San Francisco, Philadelphia, Dallas, and Hong Kong thoughtfully wrap and securely pack your products to ensure they arrive quickly and safely. For orders shipped to third party or freight shipping companies, we are not liable for late deliveries or items that may arrive missing or damaged. Email service@beautylish.com if you have any questions about when your order will arrive. We currently accept credit cards from Visa, MasterCard, American Express, Discover, Diners Club, and JCB. When your order is placed, your credit card will be authorized and funds are put on hold. When your order ships, the payment amount will be processed and deducted from your account. Enter your billing address exactly as it appears on your credit card statement. Contact your bank or credit card company if you need the billing address associated with your account. For your security, we require you to enter your 3- or 4-digit card security code (CVV). Three digits are printed directly to the right of the signature strip on the back of the card. Four digits are printed on either the right or left side above the 16-digit number on the front of the card. Debit cards are processed similarly to credit cards with the exception that you will not have access to the funds in your account immediately after the order is placed. The hold on your account will typically be taken off after 3-5 business days but policies may differ by bank. Contact your bank for more details. Prepaid cards are processed similarly to credit cards with the exception that funds are deducted from your card immediately after the order is placed. If you cancel or return your order, it may take 3-5 business for the funds to be returned to your card once we process a refund. We can only issue a refund to the exact same card the order was placed with. We accept payment via PayPal. Choose "Pay with PayPal," at checkout and follow the prompts to log into your PayPal account. If you have multiple payment methods added to your PayPal account the default payment method will be used to process your transaction. We accept Apple Pay when you check out using our iOS App. Flexible Payments is available on all orders $50 or more in select countries. * There’s no credit check or approval process. If your order is eligible, you’ll see Flexible Payments as a payment option at checkout. Flexible Payments is a simple and free way to pay for your order over time. We never charge extra fees or interest. • For orders $50 to $99.99, your order total will be split into two monthly payments at checkout. • For orders $100 or more, your order total will be split into three monthly payments at checkout. • For orders over $200, your order total will be split into four monthly payments at checkout. When you pay with Flexible Payments, your order total is split into easy monthly payments at checkout. You pay your first payment when you check out and we ship your order immediately. If your order total is $50 to $99.99, you pay 1/2 of your balance at checkout (plus all taxes, duties, and shipping costs). Your next payment will be charged to your card on file automatically in one month. If your order total is $100 or more, you pay 1/3 of your balance at checkout (plus all taxes, duties, and shipping costs). You’ll pay the rest in two monthly payments, automatically charged to your card on file. If your order total is over $200, you pay 1/4 of your balance at checkout (plus all taxes, duties, and shipping costs). You’ll pay the rest in three monthly payments, automatically charged to your card on file. *Currently available for customers in Australia, Canada, Denmark, France, Germany, Ireland, Israel, Macau, New Zealand, Norway, Saudi Arabia, Singapore, South Korea, Sweden, Switzerland, Taiwan, UAE, the UK, and the US. only. See Terms & Conditions for more information. 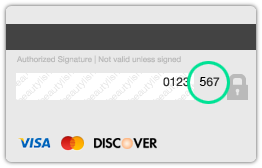 By submitting the first payment for your order using Flexible Payments, you are authorizing Beautylish to automatically charge your credit card (or another payment method on file) for future scheduled payments. Beautylish may retry your payment method(s) if we are unable to successfully charge a scheduled payment. We do not charge interest or fees. The payment schedule and amounts due are displayed at checkout. If your order exceeds $300, Beautylish may require a higher first payment. Flexible Payments is available to qualifying customers in Australia, Canada, Denmark, France, Germany, Ireland, Israel, Macau, New Zealand, Norway, Saudi Arabia, Singapore, South Korea, Sweden, Switzerland, Taiwan, UAE, the UK, and the US on eligible orders which total $50 USD or more (before taxes, duties, and shipping costs). No credit check is required to use Flexible Payments. Flexible Payments is limited to one outstanding order per customer, household, or related user at any given time. This applies even with different accounts, shipping addresses, payment methods, and billing information. If you have a shop credit on your account, it will be automatically applied to your order as the first payment method. The remaining balance can be paid with a payment method of your choice. Shop credit is not redeemable or exchangeable for cash and cannot be used towards shipping charges. 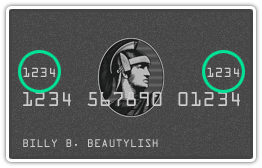 Shop credit will be returned to your Beautylish account if your order is returned or cancelled. All payment forms are subject to verification and review. We reserve the right to refuse to process any transaction, sale, or shipment of orders due to suspected fraud or unauthorized or illegal activity. If you are less than completely satisfied with your purchase, you may return your order within 90 days (from the delivery date) for a full refund. Products must be returned in new or gently used condition. If your product arrived either damaged or defective, please contact us right away. Return shipping is free and prepaid by us if you use our return shipping label and carrier, but you are also welcome to ship a return with your own carrier of choice at your expense. Because we cover return shipping for US orders, we do not refund shipping costs for the original order. This applies even if you choose to pay for your own return shipping. Visit your order history and click the "Return Items" button to print out a pre-paid return label. Refunds are made to the original form of payment (e.g., credit card, PayPal or store credit). If your purchase was paid with both store credit and another payment method, the store credit portion of your refund will always be issued first. Once the maximum originally spent with store credit is reached, the remainder of the refund will be credited back to your original payment method. Your order total was $100. Payment was made with $20 store credit and $80 via credit card. The total refund amount to be applied is $50. The refund will be applied as $20 back to store credit and $30 to credit card. Refunds for Flexible Payments orders will credit toward any outstanding payment due to us. Once all outstanding payments have been credited, any remainder will be credited back to your original payment method. We strive to ensure your order arrives perfectly, but if you experience any issue, please reach out to us by email (service@beautylish.com), phone (1-877-992-5474) or chat. To register an account, just click on the "join" button at the top right of the page. You will then be displayed with a screen to register. You can use your Facebook account to register. If you do not have a Facebook account, please click "I don't have a Facebook account." This will then take you through to enter your details and set up a password. If you’ve forgotten your password, you can reset your password at the Forgot Password Page. Just enter the email address you used to sign up for Beautylish and we'll send you an email containing instructions to reset your password. Click on the top right Flag mark. Select your language and click "flag+language" icon to save your setting. Tap on the three lines on the top left. Select your region on the Choose Your Region page. You can check and manage your newsletter subscription status from "Your Account" > Emails & Notifications. If you are subscribing to our newsletter and still not receiving them, please add us to your safe sender list to allow our emails to come safely into your inbox without them being placed in your junk or spam folder. You can unsubscribe from our emails at any time. You can click on the unsubscribe link at the bottom of the latest email you received. Or, you can log into your account and go to "Your Account" > Emails & Notifications and click the “Unsubscribe” button. To remove your account, please go to "Your Account" > “Delete Account” under General Settings. You can manage your photos by going to Your Photos, found in the drop-down menu under your name. On this page you can upload, edit and delete photos. You can also see how many views, likes, and comments your photos have received. Please refrain from uploading other people’s work. We want to be see your most creative and inspiring beauty-related photos! Don’t be afraid to get imaginative and have fun! For a chance to be featured, make sure to upload clear, high resolution photos that show off the details of your work. And don’t forget to categorize by photo type, and tag your photos with the products you used to create your look. Note: these actions can only be done on the web at this time. We will be adding this feature to our mobile apps. Beautylish reviews provide members with an insightful account experience with a particular product. To view or post a review of a product simply use the search tool in the upper left hand corner of the home page or visit the our Reviews Page. Useful reviews sometimes include the product application, color, and texture; comparisons to similar products; and the value of the product. The same product often works differently for every person, so be sure to include any personal characteristics that might have affected your experience. If there is a product you would like to review but cannot find it on Beautylish, suggest it! You can do so by visiting our Product Suggestion Form. You can manage, edit and share your reviews by going to “Your Reviews”, found in the drop-down menu under your name. You can manage your videos by going to Your Videos, found in the drop-down menu under your name. On this page you can link a YouTube Channel, import videos, and also see how many views, likes, and comments your videos have received. These actions can only be done on the web at this time. We're hoping to add this feature to the iOS and Android apps soon. To link your YouTube Channel, make sure you are signed into your YouTube account. Click on the “Link your YouTube account and choose videos.” button on the Your Videos page. You will then have the ability to link your beauty related videos directly from YouTube. For a chance to be featured, make sure to upload clear, high resolution videos that show off the details of your work. And don’t forget to tag your photos with the products you used to create your look. Beautylish is a social environment. You have the ability to “follow” other members, and other members have the ability to interact with you. To “follow” someone, simply click on the gray heart on their profile picture - it will then turn green and show you are now following them. You now have the ability to see their actions on the Beautylish page such as reviews, pictures, photos they like, and topics of discussion they are involved in or have posted. You can view all of these actions through your Notifications & Recent Actions. You can locate this on the Beautylish homepage in the right hand panel as well as by visiting Your Notifications, found in the drop-down menu under your name. Your Notifications will show you every interaction with your page where as Recent Actions will show you what the people you have followed are up to. To see your Notifications via the app, click on “Settings” followed by “Your Notifications.” To view all of your followers, simply visit your profile and scroll down and click on the link that says “See All Of Your Followers.” You can view an entire list of all of your followers there.